I’ve known Mike Bost for more than 15 years, and we served together in the General Assembly where we pushed back against Mike Madigan’s irresponsible policies. I was happy to join him down in the 12th District. 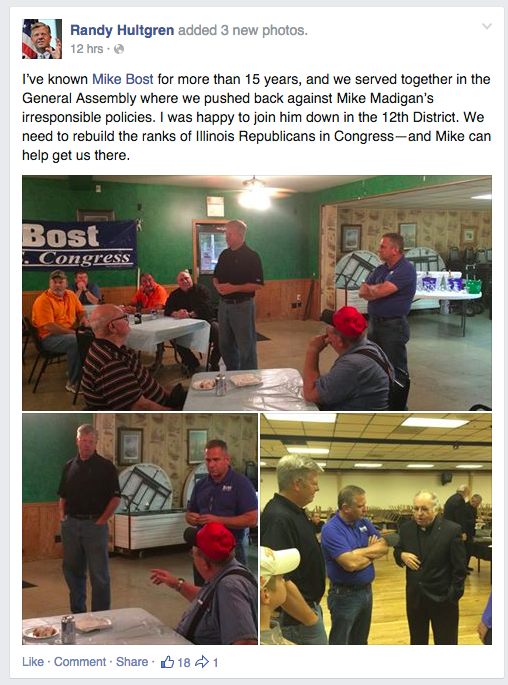 We need to rebuild the ranks of Illinois Republicans in Congress—and Mike can help get us there.